Looking for a USED 244-210? These heavy duty, high production buffing, polishing and abrasive belt machines are proven performers under the heaviest production demands. Open motors, rated for continuous operation are mounted inside the heavy base. The precision spindles are equipped with ball bearings, grease lubricated and sealed for long service. 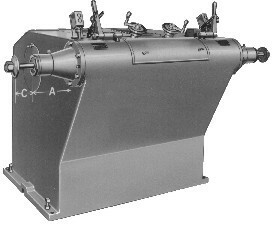 Twin motors and twin spindles allow complete flexibility in use by two operators.